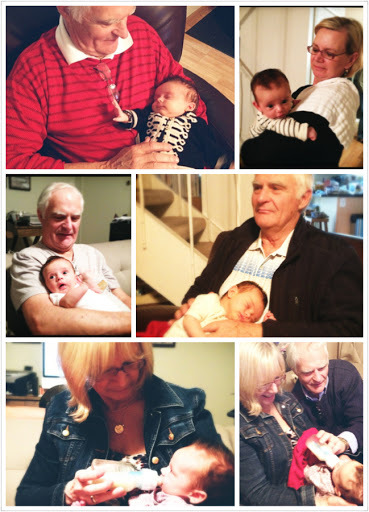 Oma & Opa made their way back out to visit Immi again – this time for TWO WHOLE WEEKS! We enjoyed some of Oma’s yummy Paleo cooking, some sushi, and even made it out to Opa’s favorite, Corvette Diner – for some sliders and milk shakes! 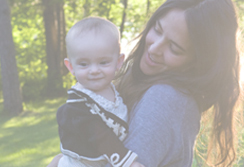 Immi can’t wait to boodie down to some 50’s music and share a milk shake with her Opa (the real kind, not the mama milkshakes she gets now – one day sweet Immi, one day). As you can see, Immi has Opa tied around her teeeeeeeny, tiiiiiiiiiiny little finger. He even started wearing “spit up pants”… in case the little one decided that lunch should be worn, rather than digested. AND the smiiiiiiiiiiiiiles! Immi would just gaze and smile as Oma told her stories about her daddy when he was a baby. Immi sure is a lucky girl to have so many people so in love with her.